Blogs (like this one) are a great tool for connecting with potential campers year-round. They make it easy to share up-to-date information on enrollment deadlines, but can also be used to inspire positive camp memories and keep interest going from summer through to next season. But not all blogs are created equally. Before you launch your blog and start posting, consider your audience and what you'll be giving them each week. Do you want your blog to be mostly pictures and anecdotes to invite potential campers to join you next season? Or will you be writing blog posts about the history of your camp and your team's progress throughout the year? There are many factors to consider. 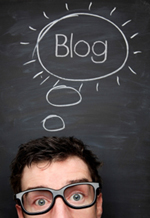 Check out this article from our friends at Camp Hacker for more on creating a camp blog. One of the best ways to showcase your camp to potential customers is through a brief, compelling camp video. Whether it's a collection of short video segments, still photos with descriptive text, or some combination of the two, a camp video can be an invaluable marketing tool. Parents visiting your listing on MySummerCamps or KidsCamps will appreciate the convenience of watching and hearing from campers, counselors, and camp administration while seeing first hand what your camp has to offer their children. Before you pull out the video camera, there are a few things to keep in mind that will help you produce an effective video. Planning out a few important things in advance will save you loads of time during shooting and afterward while editing. Know your audience and your competition. First and foremost, you'll need to identify not only your target audience but also your competition. These two factors will help you determine what your marketing message needs to be. For example, if your camp is for girls only and there are two other girls camps in the area, you'll want to focus on what you offer that may be different or better than the others. Identify to whom you are speaking through your video and how you will convey why your camp is the best choice. Develop a storyboard. Much like when you create a skit for your camp kids to play out on stage, you will need to create an outline of what you'll showcase in your video. Think about what you want to say to parents, decide on the story you want to tell, and choose the camp features you wish to highlight. Conduct interviews. Interview your camp counselors as well as your happy campers. Have directors or counselors talk about what's great about your camp as well as why they love spending time there. When video taping your camp guests, have them share their excitement about why they love staying with you, what their favorite activities are, and how they don't want to leave on the last day! Be sure to have them sign a release before going on-camera, or make sure that a photo and video release is incorporated into your existing camp waivers. Shoot raw footage. Capture your campers enjoying a variety of activities that your camp offers. And find the smiles! Shots of the facility and the grounds are also imperative as parents will want to know exactly where their children will be spending all of their time while away from home. Supplement with photographs. You can effectively combine video segments with still shots by inserting photos in between different video sections. For example, after a short video pan of the beautiful river that your campers kayak on, insert a photo of several laughing or smiling campers getting splashed, then switch to a video of the next activity you have chosen to highlight. Add music. Music is a great way to jazz up your video as well. Be sure to match your music effectively. Use upbeat dance music to showcase campers in a physical activity and serene, gentle music while panning the wooded hiking trail. Make it fun, upbeat and short. Combining great video segments, stunning photos, and well-matched music will make for an awesome video presentation! Key elements to a successful camp video include showcasing happy campers having lots of fun, pairing that with upbeat music and motivated counselors, and fitting it all into a video in under 5 minutes. Remember, it's imperative that you keep the attention of your audience, sell them on your strengths, and invite them to join you soon!